The ultimate guide to Kirchberg ski holidays in 2019 & 2020. Surrounded by huge forests and big Alpine lakes and just over the mountain from legendary Kitzbühel, Kirchberg is a pretty little village with a friendly atmosphere and a number of historic buildings, including the time-honoured village church. 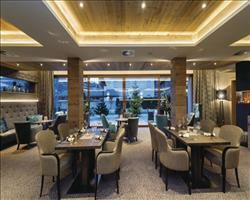 Just 6km west of Kitzbühel, it has become a popular resort in its own right over the years. It’s easily reached with Innsbruck airport an hour’s drive away and Salzburg only half an hour more, and the resort also has its own train station. This traditional farming village has gradually been transformed into a vibrant ski resort that presents a cheaper alternative to the A List Austrian destinations. While the small size of the village and its hospitable nature have given it a reputation as a family resort, it’s recently become the destination of choice amongst young people who flock here for a cheaper way to ski the Kitzbühel area and sample some legendary Austrian après. Kirchberg is part of the Kitzbühel Ski Circus and is lift-linked to Kitzbühel via the Fleckenalm and Maierlbahn cable cars (the Maier lift is heated which makes for a very comfortable journey up the mountain!). As well as covering Kirchberg and Kitzbühel, the Kitz Ski pass is valid in Jochberg, Pass Thurn, Mittersill and Hollersbach. The Circus has heaps to offer including 170km of runs, 220km of cross-country trails and a terrain park with a halfpipe. Advanced skiers who want to clock up even more miles can invest in a Kitzbüheler Alpen AllStarCard Ski Pass which gives access to 1088km of pistes over 10 resorts. A free ski bus runs from the hotels in the village centre to the slopes and from the village to other resorts in the Kitzbühel Ski Circus area. If this isn’t enough, Kirchberg is also just a five minute bus ride away from the 279km Ski Welt Wilder-Kaiser ski area. View our detailed Kirchberg snow forecast or snow report and see all live webcams, piste maps, road and travel maps and lift pass prices. For a picture of historic snow conditions see the snow depths month by month with our Kirchberg snow history. Beginners can get to grips on the nursery slopes at the base of the Mairel chairlift and on the Gaisberg mountain (the Gaisberg is also the place to go each Thursday and Friday for night skiing on fully lit terrain). The Fleck and Kaser blue runs, which can be accessed via the Fleckalmbahn chairlift and lead back to the village are brilliant to build up confidence on before moving up to Silberstube and Kasereck on the Pengelstein. Visitors can access the rest of the area by taking the free ski bus, which runs every 15 minutes, from the village to the Fleckalmbahn and Maierlbahn chair lifts 5 minutes away. These take you up to the Kitzbühel Ski Circus where there are 170km of pistes to explore – we like the blue Asten which takes you down to Kitzbühel through the trees. More advanced skiers should attempt some of the more challenging long reds and black such as the Kampen, an enjoyable scenic red that winds in and out of the forest, or the Direttissima and Griesalm blacks off the Steinbergkogel chairlift. The Hanenkamm Mountain lies between Kirchberg and Kitzbühel and is home to the world’s most difficult downhill run for those looking for a real challenge - the 3.3km Streif stands at 863 vertical metres high and requires seriously skilled skiing at great speeds. There are 5 classic cross-country ski runs including a connecting trail from Kirchberg to Kitzbuhel-Reith. You’ll also find some excellent opportunities for off-piste including an off-piste touring area at Bichlalm, the wide open fields at Pass Thurn, and the bowls at the back of Pengelstein. Snowboarders seem to prefer the runs near the Fleckalmbahn and Penglstein and there’s a snowpark and half pipe as well as another park near the Kitzbühelerhorn. Although Kirchberg’s small, it’s home to some of the best après-ski in the Austrian Alps, which sees young people returning year after year. Après starts on the slopes in bars like Schneebar Oberkaser and there are twenty bars back in the village including the Australian run Boomerang and the very lively Londoner. For some late night dancing try Fuchslöch or for the ultimate après-ski party go to Ice Bar in Orszentrum, where you’ll find live DJs, club anthems and throngs of dancers. If you’re looking for more sophisticated nightlife and are willing to pay a bit extra then you can always take a taxi to Kitzbühel where there are over 125 bars and discos, as well as a casino. Kirchberg has a good selection of restaurants, many of which serve local Tyrolean specialties as well as international dishes. The Kupfer Stub’n is especially popular and well-known for its tasty food and cosy atmosphere. A good pizza isn’t hard to find - Pizza Nabucco is one of our favourites. There are also some superb mountain restaurants including the highly rated Gasthof Ochsalm, which serves excellent food and has a nice open terrace where you can sit in the sun and admire the views. There are a range of fun activities to try during your visit, many of which take place on the Gaisberg mountain. These include night skiing and sledding, an ice climbing park and the hugely popular 3.5km long toboggan run. Kirchberg Swimming and Leisure centre is located 5 minutes’ walk from the village centre and here you’ll find a swimming pool with slides, table tennis and a large kid’s area. Snowshoe hikes and romantic sleigh rides through the meadows and forests are also well worth considering if you fancy enjoying the surroundings by different means. When is the best time to ski Kirchberg? Despite its relatively low altitude of 860m, the resort has a good snow record and averages 124 days of cover per year (thanks to the moist air that flows from the North Sea). Because the slopes lie over grassy terrain, they don’t require a great deal of snow to be skiable. The lower slopes can occasionally get icy or patchy at the very start and end of the season and if this is the case, head to some of the higher, north facing slopes which tend to stay in better condition. The best snow falls from mid-February to mid-March but 703 snow canons ensure that almost half of the pistes are covered by snowmaking if a little topping up is necessary. If you’re flexible on dates then try to plan your trip so that it coincides with one of the sporting events held in the region. These include the Hahnenkamm ski race weekend in January, where the best ski racers congregate on the Hahnenkamm to attempt the Streif, the most difficult downhill ski run in the world, in the fasted times. The traditional horse races in neighbouring Westendorf is another popular event that sees local and international champions race over 100 horses on the snow at Hatschgerfeld. With a friendly Austrian welcome and a laid back atmosphere, Kirchberg is a good choice for families wishing to ski the Kitzbühel area on a budget. 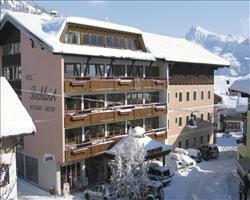 There are five excellent ski schools as well as a ski kindergarten for children aged 4 and upwards. Members of the ski kindergarten will fall in love with the snow at the designated Learn to Ski area that’s equipped with practice lifts and fun race courses. Lunch and supervision can also be booked at an extra cost if you want to make a full day of exploring the Kitzbühel Ski Circus. Salvenlausa Toddlers Day Care (by the Hopfgarten cable car station) is also available in the day for children between 1 and 3 who are still too young to ski, where they’ll be kept busy with fun activities indoors and things like snowman building and tobogganing out in the fresh air. Group lessons are available for more experienced youngsters and the resort has a good selection of blues and reds as well as a fun terrain park and halfpipe for any budding freestylers. There’s a lot of family activities off the slopes too, starting with ice climbing, night sledding on the Gaisberg, swimming, bowling and sleigh rides. If you fancy a day off the snow, take the clan to Herzogenaurac Wildlife Park in Aurach where you’ll find more than 200 animals including deer, lynx, kangaroos and Berber monkeys. This is a fantastic resort for groups who are interested in experiencing Kitzbühel, but also in saving some pennies (holidays here tend to be much cheaper than in the high-end resort over the mountain). As long as groups of mixed abilities don’t mind splitting up to ski and meeting back for lunch or après ski, you can all enjoy a terrific week in Kirchberg. The Gaisberg, which is separate from the other slopes is ideal for beginners – see if the practice lifts are still free to use before you buy a ski pass, as this could save some more money during the first couple of days of learning. Intermediate and advanced skiers will love the 168km Kitzbühel Ski Circus area, where there are also good opportunities for off-piste and cross-country skiing. Kirchberg is ideal for any groups with non-skiers as there are a lot of mountain activities where you don’t need to be strapped to two planks - like ice climbing, snowshoe hiking and tobogganing. The Kirchberg Swimming and Leisure centre is 5 minutes’ walk from the village and there are a number of activities and places to visit in the surrounding region. These include horse riding, snowbiking and ice-skating in Westendorf, a waterpark in Kitzbühel, a wildlife park in Aurach and a silver mine in Schwaz. When it comes to planning the a group gathering later on, there are a huge number of restaurants to choose from, serving both local and international cuisine, which should satisfy even the fussiest of eaters. The nightlife here is lively and fun - head to the Boomerang for cheap beers and sports or the Londoner for live music and dancing. "Pretty Austrian village, cheap & convinient way to ski Kitzbuhel"
Kirchberg is a very pretty, very Austrian little village (with a big supermarket which is useful). Kitzbuhel is very attractive and known as a mecca of skiing and Kirchberg is very convenient for getting onto the Kitzbuhel runs at a lower price. Of the two lifts that take you up, the reps told us to use the Maierlbahn ski lift (which was only a 3 or 4 minute bus ride from our hotel, the Taxacher). Actually if you’re a beginner skier, it’s a lot easier to use the Fleckalmbahn lift, which isn’t much further on the bus. The one they recommended takes you halfway up, then instead of getting straight on another lift, you have to ski around and down to get to the next lift, which wouldn’t be very easy for a beginner. The other one takes you all the way to the top, where there’s a lovely blue and red that take you down to Kitzbuhel. If you were an experienced skier, the first option would be ok, but the second lift is so much easier. 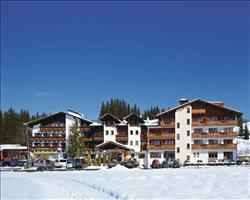 "Nice trip to Kirchberg, snow good, weather good, what more could you want!!" Kirchberg is part of the Kitzbuhel ski area, the lifts serviced by the ski bus link directly into this extensive area. A real bonus is that for an extra €8 per week you could buy a lift pass that also covers the "Skiwelt" area covering Westendorf, Brixen, Soll, Hopfgarten, Ellmau, Going, Sheffau, this has been made possible by a new lift called Ki West which creates a link between the Kitzbuhel area to the Skiwelt area. This pass called the Kitzalps Allstar card also covers several other areas, although realistically you would need a car to ski them. Altogether this is a great choice for a budget means of skiing a world class area. "Good for quiet holidays with great skiing"
A very good week in Kirchberg. The access to skiing is fantastic and it’s so easy to get there. The resort was fairly quiet, and a lot of the restaurants were closed, but that might be the week we went (we always avoid school holidays and it was towards the end of the season). 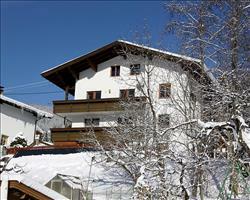 I would recommend Kirchberg to a people looking for a quiet holiday, maybe families or couples. "Nice place, would go back"
I went here because my brother was staying in one of the other hotels and it’s a nice place, I’d go back. We were quite lucky to have had quite a good week in terms of conditions, considering it was late in the season and 2014 wasn’t the best year for snow (apparently the week after was a lot worse). It’s a big area with plenty to do for all levels, you can ski Kitzbühel from there and get to do the famous Hahnenkamm run which I would recommend. The lift system is good and queues were very small all week. As an all round resort it’s a very good place for families, the traffic wasn’t that bad.